Have you ever wondered to yourself, “What is True Love?”. Is there really a definition? Who determines what True Love is anyway? Is there a God of True Love who stands before us and has a list of things that warrants whether or not you are truly in love? Is True Love just for your partner, or the one that you marry and take vows with? 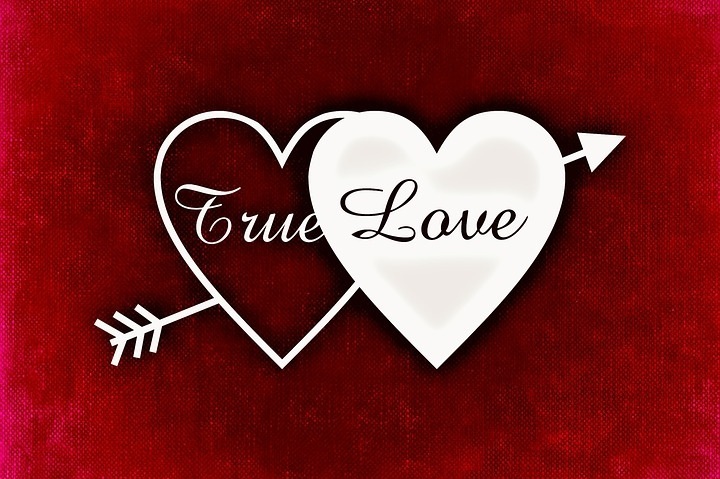 Can True Love be for anyone, a child, a friend, a parent etc.? I realize what should be simple and wonderful can be confusing and heartbreaking. The Truth is Love can be difficult, painful and challenging at times, but it can also be brilliant, breath-taking and divine. If you are human you cannot have one without the other, but It’s OK! Yesterday I stumbled upon a beautiful soul/priest by the name of Father Richard Rohr. Father Rohr is a Franciscan Priest and has such a phenomenal insight on the spiritual connection of True-Self, False-Self and God (what he chooses to call his higher power/source). He calls himself an ordinary man with an extraordinary gift to teach those who are ready learn. In this case he is teaching about True Love. You and your partner must be willing to change in order to become a closer, combined unit which means “Yes” you are going to change. Believe me, I know what you are thinking. “I’m not changing for anyone, if he/she can’t love me for who I was before we met than we are not meant to be.” How many times I have heard that statement over and over. Really think about what that means though……. If no one is willing to change then how could any relationship possibly work? Or worse yet, if only one of you is making all of the changes then that relationship is in just as much, if not more jeopardy because you can clearly see and feel the imbalance. Father Rohr speaks about the fact that human beings, in general, have a fear of “Letting Go”. Letting go of who you were before you met that person. Change. Who isn’t afraid of change? Yes, most of us are comfortable with what we already know, but just imagine the expansion of the knowing when you “Let Go” and open yourself up to truly loving another. If you truly love someone wouldn’t you want to meet them in the middle? If you are both willing to change enough then maybe who you were can become so much more fulfilled as you evolve into who you are becoming, together, as a wonderful, beautiful, loving result. I wanted to take a moment to share with you the reasons I chose the skincare line “OM Botanical” for my Organic Skincare and Healing Arts practice. As a Skincare professional it is probably one of the most difficult decisions to make when starting a business and committing to a product line that truly aligns with the philosophy of why I do what I do and how my skincare products and procedures really make a difference for each individual. It was important to me choose an Organic, Effective skincare line that could target many different areas of concern with just requiring 2 or 3 products. Most skincare lines reccommend purchasing so many differnt products for different reasons and before you know it you have a Product Graveyard in your bathroom of so many things you have no idea why, what or when to use them. With OM Botanical you will never have that problem. Each product is simple, clean, 100% Organic, looks fabulous and smells amazing. The essential oil blends are light yet pleasing to all who try them. OM Botanical is created by a Scientist from India who was raised and inspired by Ayurveda Ancient Herbal Medicinal Remedies, Sudhir Shah. Growing up his mother treated all of Sudhir’s ailments with blends of botanical ingredients. He saw firsthand the healing power of nature and effectiveness of herbal remedies. As a parent of a child suffering with severe Eczema, Sudhir could not find a single product that was free of toxic chemicals, steroids or preservatives. Not one! This triggered a research project that led him to the realization that an average woman is exposed to over 250 and an average man 100 chemicals every day. He also discovered that 60% of those chemicals end up in our bloodstream. Thus OM Botanical was born to create only TRULY natural and organic products! Beautiful, Clarified Skin in 2019! Who doesn't want Beautiful, Balanced skin this year? All IPL Photorejuvenation treatments are offered at Dr.Zeff’s office only. For those of you who need a Quick pick-me-up after the Holidays, this is the perfect treatment for you! This Facial is packed with exfoliation, hydration, stimulation and rejuvenation. Hope Everyone has a Wonderful, Exciting and Prosperous 2019! I hope everyone is staying calm during the most energetic time of the year. Whether your shopping, prepping, decorating or attending Holiday gatherings with Family or Friends I would like to give you a few tips to remain cool, calm and balanced (yes, it is possible). It is a little crazy to think about everything that we try to fit into the 4 weeks between Thanksgiving and Christmas. If you’re anything like me then you think that “This year is going to be different!” You plan to start Christmas shopping early and attend all of the Christmas Events and Gatherings feeling rested and looking absolutely spectacular in your new, sparkly Christmas Garb. Then reality hits and life throws you a curve ball, and this year more than I’ve EVER seen, most every woman I know is going through extreme transitions. New jobs, new relationships, new homes, loss of jobs, loss of loved ones, ending relationships etc. On top of the Holiday Hoopla, dealing with emotional ups and downs can ignite serious anxiety. WHO NEEDS THAT?! NOT ME😊 Neither do you. You probably keep hearing that Venus or Mars are in Retrograde and that is what is causing all the turmoil. This may be true, but we can look at it in 2 different ways. We can play victim to the shift or we can be BRAVE and stand tall and strong through this transitional wave. I can assure you that if you BELIEVE that there is always a POSITIVE UP-SWING after what seems is a DOWARD SPIRAL, staying compassionate, honest, loving in all situations, then you will quickly realize that the difficult times were necessary to get to the BLISS that awaits! TRUST ME ON THIS ONE. Try to do something active at least 20min. a day to get that heartrate up and those dopamine’s firing. Take a power walk or follow a YouTube Fitness video. I like Fitness Blender, they offer many FREE workouts that are 20 – 40 minutes. https://www.fitnessblender.com/. I know that you feel like you do not have time, but if you can get up 30 min. earlier or try to schedule this in, I promise you as a result of getting that blood pumping and those muscles moving you will look and feel healthier, sleep better and feel less stressed. Have fun people! This is supposed to be “The Most Wonderful Time of The Year”. Enjoy those around you, play a game with your family or watch some funny Christmas movies. Try to make someone else laugh or laugh at yourself. If your feeling stressed or overwhelmed, smile for no reason. Even if you have to force it, this simple act will spark those neurotransmitters in your brain connected to dopamine and serotonin which in turn helps you feel joyful. "Goal Setting" vs. "Divine Intervention"
I do a lot of research - reading, listening to pod casts and You Tube watching - about successful people and what their secret is that has helped catapult their careers to the level of success that it has. Spiritualist or Realist? Hmmm, that is a toss up. Because of the business that I am in and so passionate about, I am most drawn to the Spiritualist philosophies when it comes to living your life purpose and "Letting Go" of what doesn't move you or flow properly. "Do what makes you happy and watch your life turn into an abundant dream come true." On the other end of the spectrum the Realist will set long-term and short-term goals, get up at 4:30am and work until the wee hours of the evening. “Hard work pays off and it's not always going to be easy or fun.” I've heard some successful Spiritual Leaders say they never set goals. Goals get in the way of your life purpose. Most recently my son Gabe and I committed to running in a 200 mile relay (Reach the Beach) with my cousin Lori and 9 other people over a 24 hour time frame. "What were we thinking?!" that's beside the point. When I started training for the relay I set goals for myself to run a certain amount of miles per week. I found that I can run a lot longer, faster and further than I ever could as a result. In this case goal setting worked for me even though it is not always fun and can be very difficult to achieve. In business, I noticed that I was bogging myself down with un-enjoyable tasks that were taking away from my spirit and making my business “not fun”. My boyfriend reminded me that when he was struggling with finding the perfect employment opportunity that would align with what makes him happy, I helped him to "Let go and ask the Universe for what he really wanted." He thought it was silly, but he trusted me and was willing to try anything. As soon as he did he landed the PERFECT JOB! Divine intervention. I think it's evident that both goal setting and believing in divine intervention are helpful as proven in both scenarios. I don't feel we have to commit to one or the other. I definitely feel that a combination of an open mind, hard work, doing what you love and having fun while your doing it are all components of success in personal and work life. So, set those Goals and Ask the Universe for what you really want and believe you deserve. And in your spare time, send us some loving, cheer-leading thoughts when we’re running our tails off to “Reach The Beach” this coming Fall! I was 13 yrs. old and it was the end of my 8th grade year at Dover Jr. High School in Dover, Nh. Believe it or not, in those days, we had what was called an "Eighth Grade Prom". All of the girls would get dressed up in cute dresses and the boys would wear suits and ties. It was a very exciting time and I remember being so excited to go. My mother and I shopped for a dress that would be perfect for the occasion. I found the most beautiful ivory lace and silk dress that, to me, was "The Dress". Unfortunately "The Dress" was a little pricey and my mom could not afford it. Of course I understood and we kept looking. We didn't have any luck locating another dress that would suffice so we went home with a plan to try again tomorrow. The next day I rushed home with new positive intentions to find another, more affordable "The Dress" with my mother. I ran upstairs and went in my closet to grab something before we advanced on our quest and hanging right there in front of me, I kid you not, glowing in magical wonder, was "The Dress"! Now "My Dress!" I screeched with joy and ran to find my mother. "Mom, Thank-You, Thank-You, Thank-You, I can't believe you bought this for me!" She just grinned and looked at me with her loving eyes and said "I'm so glad your happy." I have no idea what my mom had to go without because she bought me that dress. As a child, we don't think about those things and as a loving mother she didn't want me to. My mom has 6 children and I cannot fathom how she was able to make each and every one of us feel special in our own little ways. She was creative, kind, loving and always available. You knew that if you called she would pick up the phone. Her life was not easy, but her kids always, always, always came first. I honestly could write a book about my mom, she's one of strongest woman I know. She is a quiet warrior in her own right, the mother of 6, the grandmother of 20, great-grandmother of 3 and 1 on the way! I am so grateful for my mom, more than words could ever express. So, as we continue into May and reflect on our moms, my hope for everyone this Mother's Day is to remember the "The Little Things". "Sometimes The Smallest Things Take up The Most Room In our Hearts." Winnie The Pooh. As a Skincare Specialist - Medically trained, Licensed- Esthetician and Now certified Healing Arts professional , I have come to the conclusion that there are many avenues to roam when seeking out the perfect treatment when dealing with skincare concerns and conditions as well as internal imbalances. 1. Can you make me look younger? 2. What can you do to stop my face from breaking out? 3. Can you make my complexion look better? Of course there are exceptions as well as those who are completely content with the appearance of their skin and just want a relaxing, clarifying experience. What I find is that most visitors may also be feeling out of sync internally and once they feel safe and comforted it's difficult to explain why one releases emotions, fears and current life struggles. As a Medical skincare specialist I have seen major improvements in diminishing age-spots and wrinkles with more aggressive treatments such as IPL (Intense Pulse Light), TCA Peels, Microdermabrasion, Dermaplaning and Skin Tightening with Infra-Red light. These treatments create mini-trauma to skincells which in turn causes a healing effect that actually stimulates collagen and removes dry dead cells from the surface causing an overall rejuvenation and clarification. Throughout my training as an Intuitive Reiki Healer and my passion to understand ancient Ayurvedic practices, my journey has come full circle. Being able to offer Botanical - Organic skincare treatments and perfectly formulated products - taking an all-natural approach to skin, body and soul enhancements truly heightens me and my clients in ways indescribable. Two completely different ways of looking at Skincare, however, I beleive there is room for both. When you visit Serene Solutions you will get a completely different type of skincare experience. Together we will explore your individual concerns and discover exactly what is the root cause of your imbalances. Incorporating advanced modalities for more effective results of the overall appearance of your skin in addition to soulful-healing energy properly channeled with the help of natural crystals, stones and/or botanicals - the treatment turns into something so much more than you could ever imagine! Western Modalities + Eastern Philosophies = Serene Solutions - Organic Skincare and Healing Arts. Thank you for taking the time to read my Blog - my passion - my life purpose. We're dedicating our first Blog to all who helped us get Serene Solutions off the ground so quickly and who have been supporting and cheering us on these past few months. It certainly takes a village, even for a small business like ours, and we are so unbelievably grateful and humbled by all of the love and support. From the moment we decided to move forward with this crazy dream to make a difference and follow our Life Purpose, our family and friends have been stepping up continuously to help in any way they can. THANK YOU KEITH BENNETT for dropping everything, every time we needed your help moving furniture, putting something together or placing wall hangings just right. THANK YOU DAD, JOE AND JIM for coming to our rescue when we needed electrical work done to pass the town inspection. THANK YOU KAREN BROWN for taking such beautiful photos, allowing us to launch our web-site much sooner than later. THANK YOU MOIRA ABRAM-HALE for putting our web-site together so quickly and really understanding what we wanted and making it look so amazing. THANK YOU MATT GUNN for allowing Jennifer to borrow your truck whenever we needed to move larger furniture, such a huge help. THANK YOU TO MY SISTERS JANA AND JESSICA for always researching and giving us ideas and business advice - not sure what we do without you. Of course to our biggest Fan, who never misses an event and is always there for us with the pride and loving support - THANK YOU MOM! THANK YOU TO THE REST OF OUR FAMILY AND FRIENDS who have been asking how they can be of assistance and stopping by to help in any way then can. We love you all so much and know we could not have done this without you, we thank you from the bottom of our hearts!! Stay Tuned for our First News Letter launching February 1st with upcoming Valentine’s Day Specials and Self-Enrichment Events you won’t want to miss.